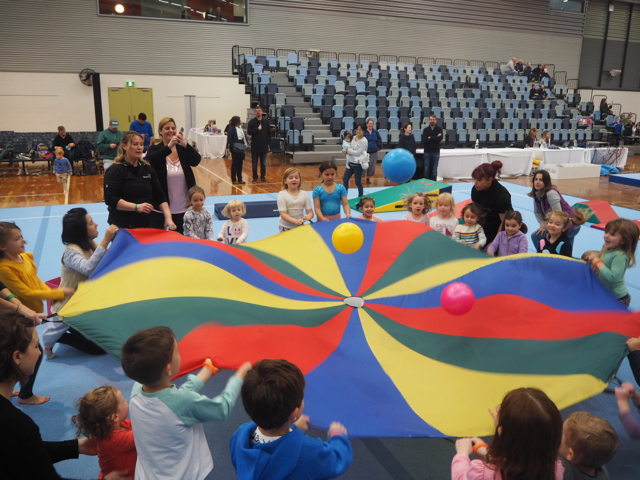 Last weekend, Kate and her poppets attended Gymnastics with Bounce with Gymnastics Victoria as part of the 2017 Victorian Gymnastics Championships at the State Netball & Hockey Centre. Gymnastics with Bounce invited children aged from 4 months to 11 years of age to participate in a 45 minute class where they were introduced to the benefits of gymnastics. 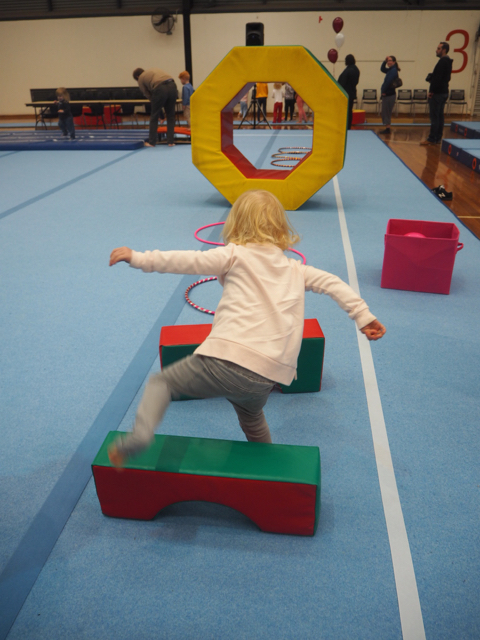 Instructors and mascot Bounce showed children hand and feet positioning, tested their balance by walking on balance beams, showed them how to jump and bend their knees from a vault, showed them how to walk through obstacles, do forward rolls and lots more! 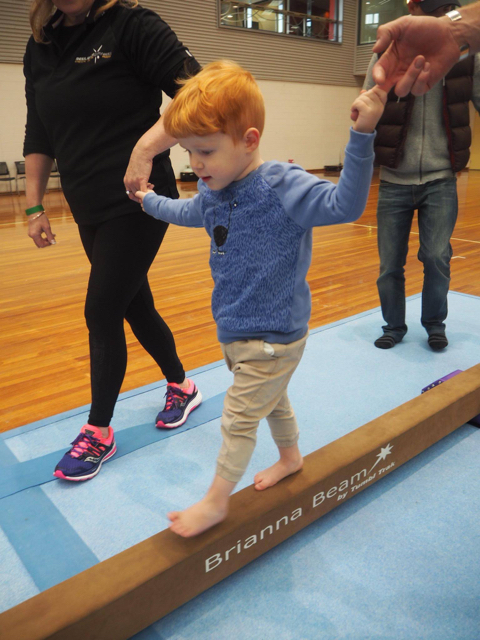 The Gymnastics with Bounce session was a one off session however kids (boys and girls) aged 2 to 12 years old can take part in weekly Come and Try Gymnastics sessions in Prahran every Sunday. Sessions are now open till the 30th July so you can book in advance online. Each 50 minute session is run by qualified coaches and if your child enjoys the class then coaches can help you find a great gymnastics club for your child to join in your area. These sessions are a great introduction to the benefits of gymnastics for children when developing foundational movement skills. Sessions are $15 per participant - to book checkout the flyer below and head to their website.